A key initiative in the path to digital transformation is developing new and migrating existing application workloads to include a multi-cloud infrastructure. Applications span from on-premises to public, private and hybrid environments and include modern application architecture based on containers and Kubernetes. Organizations expect to achieve agility and rapid deployment, better ease of use, elastic scaling, automation, and increased operational efficiency. But in this brave new world, how can you ensure that your applications are secure and that you have visibility regardless of where your apps reside? We all agree encryption on network traffic is necessary, both to improve the confidentiality and integrity of the information in motion as well as to comply with numerous regulations (like HIPAA). But while we think of it as being used for good, it can also be used for evil. Hackers can use it to hide malicious intent, whether stealing data sent via email or to cloud storage to protecting malware C&C communications. Given the growth in both the use of network-based encryption and network attacks targeting encrypted traffic to bypass controls, how can organizations keep up? Simply turning on SSL inspection in a NG firewall can substantially degrade performance. Buying a new firewall is a costly endeavor. 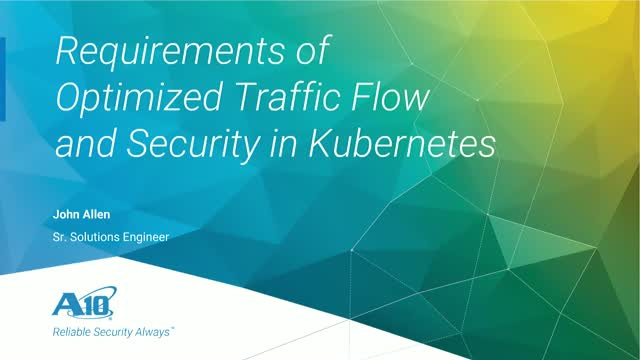 SANS will explore the concerns faced by an organization that realizes it must improve visibility into its encrypted traffic, laying out both the business and the technical issues and how to approach both.